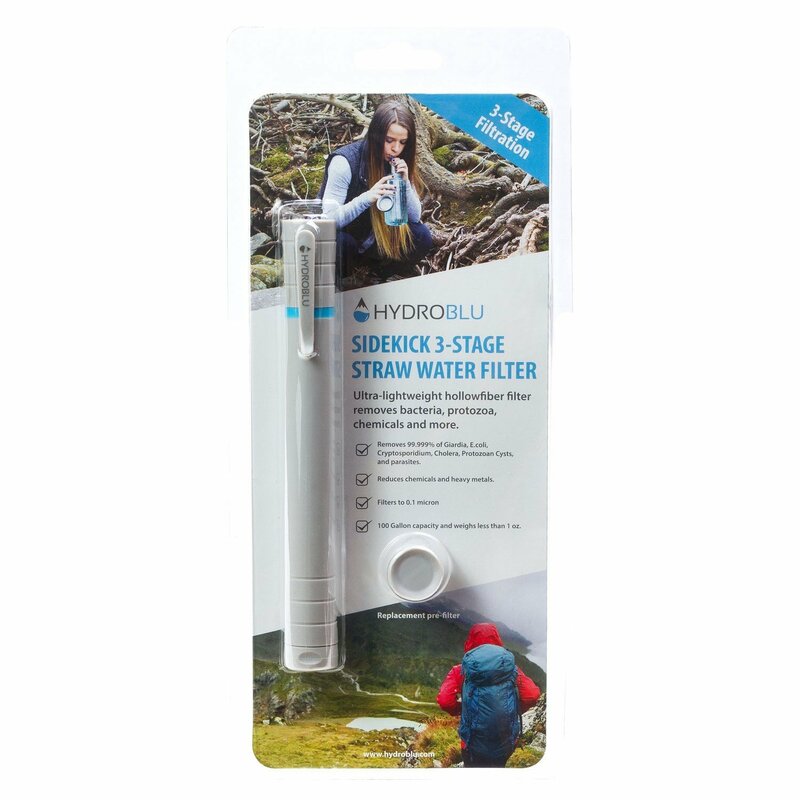 Whether you are hiking, camping, backpacking, or just need a solid backup water filter, the Sidekick 3-Stage Straw Water Filter by HydroBlu is your perfect adventure companion. The 3-stage water filter provides the most robust filtration of any straw style filter. The easy to use Sidekick protects you from bacteria, chemicals, heavy metals, and other contaminates. Large sediment is blocked with the cotton pre-filter membrane, increasing the longevity of the filter. Nasty chemicals and heavy metals are adsorbed by the Activated Carbon Filter. Activated Carbon removes lead, iron, cadmium, nickel, chromium, and zinc along with chlorine, pesticides, herbicides, gasoline, and diesel fuel. Once the pre-filter and Activated Carbon filters have reached their life expectancy of 50 gallons, they can simply be replaced with the extra end cap filter which is included. Finally, the Ultrafiltration Hollow Fiber removes 99.999% of bacteria. Hollow Fiber is made of dozens of tubes that have microscopic holes (0.1 microns) that don?t allow bacteria to pass through, while allowing clean water through by size exclusion technology. 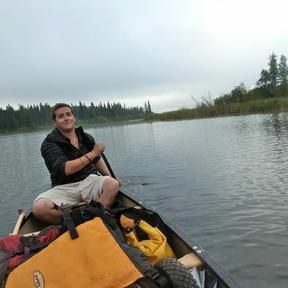 Regardless, if you are running on the trail or backcountry skiing the lightweight design of the Sidekick won?t slow you down as it only weighs 1 ounce. It can fit perfectly into your pocket, day pack, or emergency kit. No matter where you go it?s always better to take your Sidekick with you.